Added on September 6, 2012 by Andrew Marzoni. I am reading at this thing. You should come. 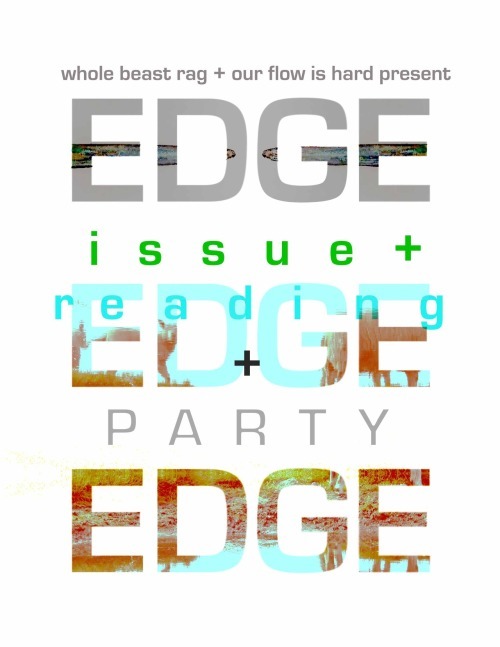 Whole Beast Rag will release its EDGE issue online and in print September 1, so we’re gonna party. The babes at OUR FLOW IS HARD are gonna party, too. Party with us.